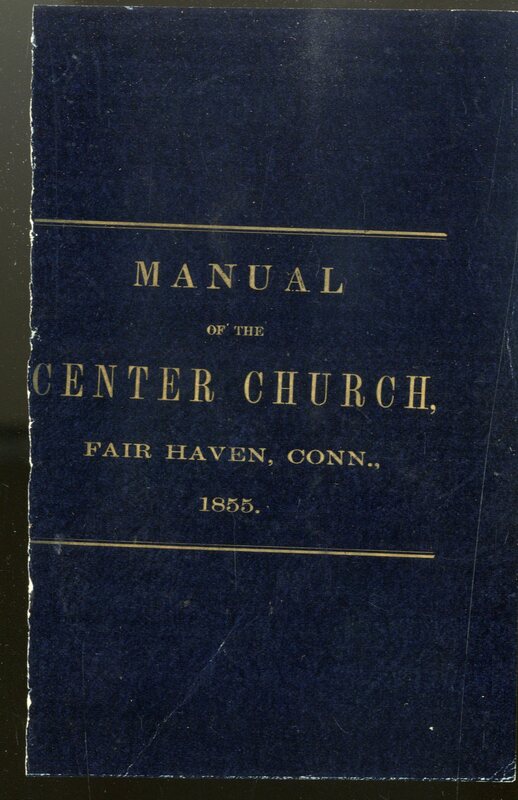 From the HISTORICAL SKETCH in the volume: "The Center Church of Fair Haven was organized on May 3, 1853 by an Ecclesiastical Council...in order to establish a Church upon the basis of a thoroughly Calvinistic or Pauline Theology." 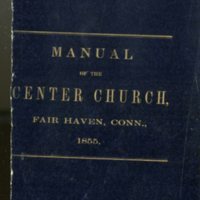 “History, confession of faith, covenants, and standing rules of the Center Church, Fair Haven, Ct. Together with a catalog of its members, and baptized children, to January 1, 1856. / Published by order of the Standing Committee, W.B. Lee, Pastor.” Rare Books. WCSU Archives, 6 Nov. 2018. Accessed on the Web: 21 Apr. 2019.